Dr. Les I Siegel is Founder of the Glaucoma Center of Michigan, is an ophthalmologist specializing in the consultation and treatment of glaucoma and cataracts. 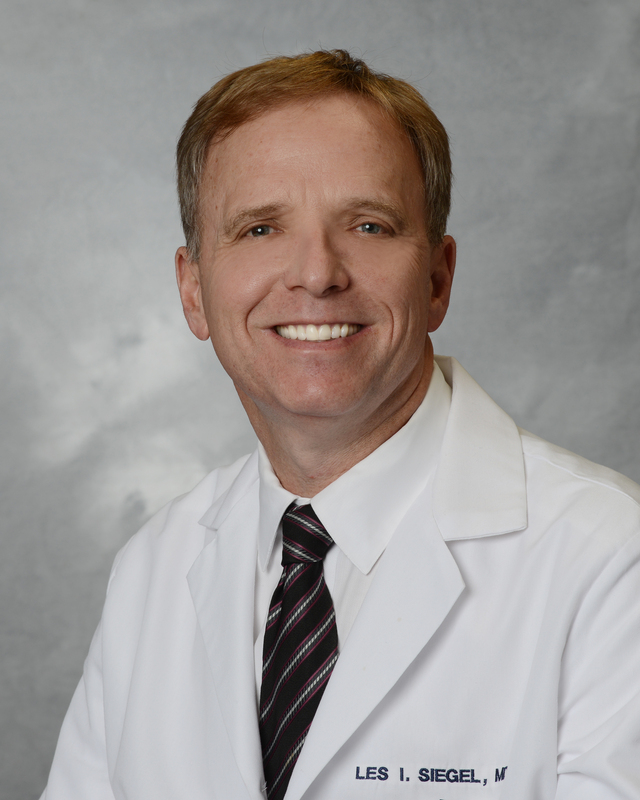 Dr. Siegel received his Bachelor of Science in Physiology from Michigan State University. He also received his M.D. with Honors from Wayne State University School of Medicine. He completed his internship at William Beaumont Hospital in Royal Oak in 1981, his ophthalmology residency in 1984 at the Kresge Eye Institute of Wayne State University where he served as chief resident and his glaucoma fellowship at the Washington University School of Medicine and Barnes Hospital in 1985.Dr. Siegel is on the medical staff at William Beaumont Hospital in Royal Oak, Eye Surgery Center of Michigan affiliated with St. John Hospital and Detroit Medical Center (DMC). He is on the teaching faculty at those medical centers as well as an Assistant Clinical Professor of Ophthalmology at Wayne State University, Michigan State University and at Oakland University WIlliam Beaumont School of Medicine.Dr. Siegel has made numerous presentations and written various publications on the diagnosis, treatment and surgical procedures pertaining to glaucoma and cataract related subjects.